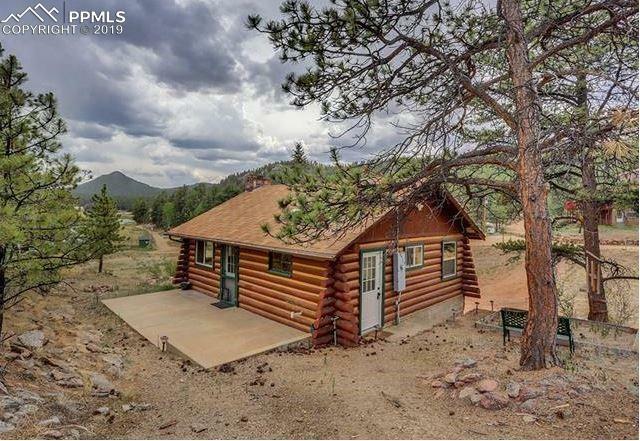 WELL MAINTAINED log cabin - Sweet little place with two separate living spaces ! Large bathroom on lower level has laundry hook ups and adjoins large bedroom that walks out through french doors! Great wood floors on the main level in large living/dining room with GREAT view of the stocked fishing lake - available with paid HOA dues. Subdivision borders the national forest for some good hiking or stroll around the lake! So much wildlife to enjoy as well as some amazing neighbors!